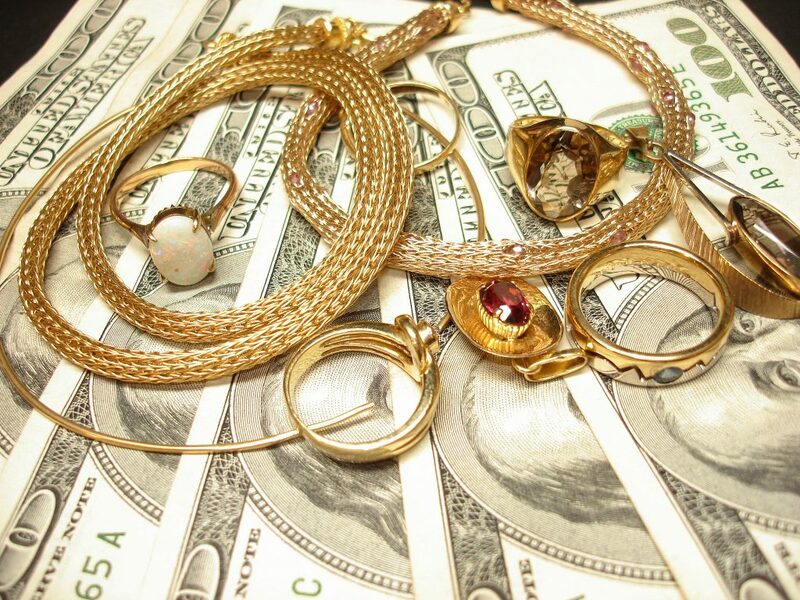 When you come to sell gold for cash at Oceanside Jewelers, you can expect that the process will be quick, professional and efficient, and that you will get the best price in cash for gold in the area. Factors that affect what price you get for selling gold are the carat of gold you bring in, its weight, and what form your gold is in. When you sell gold jewelry for cash, we will first do an acid test to determine the carat of the gold, and then weigh it. Based on these measurements we can then give you a quote based on market prices, which are updated every 20 minutes. Weekend purchases are based on Friday’s closing. Depending on the quality and carat of the gold, Oceanside Jewelers can pay up to 90 percent of the value of the recoverable metal. In contrast, pawnshops, pawn brokers and some other jewelry buyers will typically pay 50 percent or less of the value of the recoverable metal. The highest price in cash for gold is given for gold coins or gold bullion. For large quantities of investment quality gold coins or gold bullion, Oceanside Jewelers can broker the metal for you for a negotiated brokerage fee. In addition to paying cash for gold jewelry, gold coins and gold bullion, Oceanside Jewelers will also pay cash for gold watches, dental gold, placer and river gold, even rolled gold and gold filled, which most stores will not buy. No matter what form your gold is in, we can almost always buy it and give you cash on the spot. Oceanside Jewelers also pays cash for platinum and unlike many other buyers also pays cash for silver including sterling silver, coin silver and fine silver. Oceanside Jewelers is a family owned and operated business that values our reputation and like other family owned jewelry stores pays higher prices than the here-today-and-gone-tomorrow jewelry buyers. Oceanside Jewelers pays more cash for gold than mail-in buyers, pawnshops or pawn brokers, traveling hotel buyer or gold parties. Bring your gold jewelry for cash to Oceanside Jewelers and let a Master Jeweler and a Graduate Gemologist evaluate your gold and give you the best price in cash for gold in the area.